I Don't Need A Prince By My Side To Be A Princess is a new perfume by Kilian for women and was released in 2018. The scent is sweet-gourmand. It is being marketed by Estēe Lauder Companies. There I am sitting with my 5-year-old daughter in front of the dollhouse at her grandmother's. A beautiful doll house. It's all handcrafted. Six rooms, each a jewel in its own right. A dream for all who like dollhouses. One of the kind that are not really child-friendly because the ingredients are all antique and precious. The table is filled with a tiny butter dish and a dreamlike little romantic cake. A chandelier (which of course also glows). A nostaglisch-beautiful bedroom. Grandma's a wonderful grandma. And calm enough to open her dollhouse to her grandchild. And my daughter is very careful. She is happy about every visit at grandma's. Then the transparent protective wall in front of the house is removed, she gets a stool, climbs up to be able to play in all the rooms and always asks for support when playing in the doll's house. This time I had the pleasure. There a very pleasant scent blows out of the doll's house bathroom - which is nostalgically nicely equipped with mini toothbrushes and cups, a wash bowl and an emptied Chanel N° 5 Extrait bottle (still the 7 ml). It couldn't have been the empty Chanel bottle, that was obvious. What's that smell? It's too quiet and soft for Mon Guerlain. The lavender note is missing. I mean, besides the slightly sweet (not sticky!) Marshmellow note, I notice a hint of almond. In colours, a pink, coloured scent rose into my nose. Bright pink. Very round, without corners and edges. And yet somehow special. There's nothing stinging your nose. I looked at my daughter questioningly. She understood and put a sponge under my nose. "Sprayed Grandma!" Good, good, good. We played very happily for a while. One of those Sunday afternoons where it rains outside and it can be so cosy inside. When I said goodbye I was given a sample of Princess by Kilian. She got it when she last went shopping at Douglas. Kilian at Douglas, I thought. That's odd. A few days later I was on a business trip to the capital. My way back crossed Friedrichstraße. I was looking for Kilian at the Lafayette. But Princess (I abbreviate, the title obviously follows the book trend, according to which book titles become longer and longer in the meantime...), Princess was nowhere to be seen. But a very friendly advisor enlightened me. 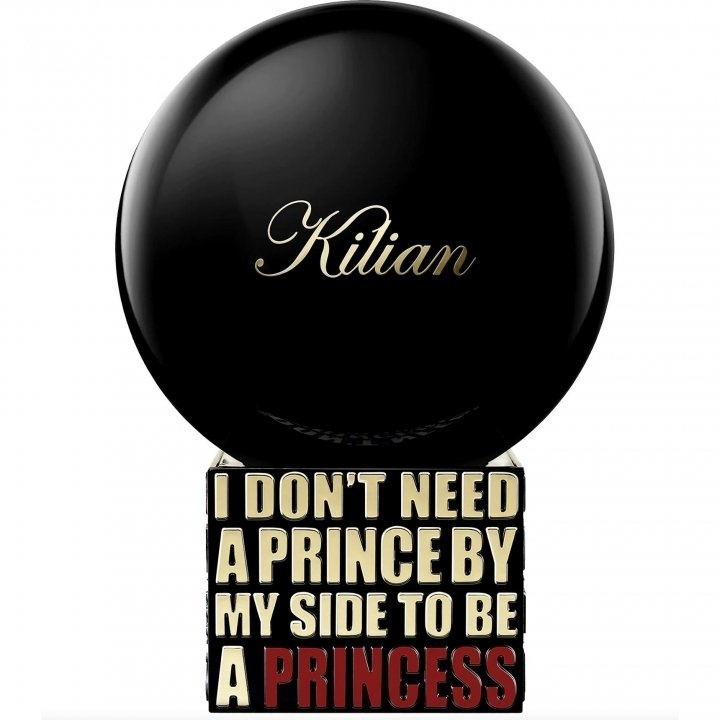 Princess was created exclusively by Kilian for Douglas. Just like the other three fragrances with these round flacons, with the spray head in the base. So I could have tested this fragrance at any Douglas store. On the way to the main station two branches crossed my way. I got on the train with a Princess bottle in my pocket. Admittedly the ugliest and most impractical bottle in my collection. My little daughter was wildly delighted and fell asleep that evening with the words: "Mom, I want to smell like you" A compliment for every perfume-mama. On special occasions - like Papa's birthday party - she currently celebrates with a little splash of Princess on her wrist. I like the pink healing world scent - on Sundays, when it rains outside and everything is fine inside and we can get lost in the doll house world. Write the first Review for I Don't Need A Prince By My Side To Be A Princess!